I’m the first to admit that I’ll watch a show or read a book out of perverse curiosity. Who hasn’t watched five consecutive hours of Paris Hilton’s British Best Friend just to see how it would affect your brain? It’s my casual interest in interspersing long television-free stretches with some random TLC reality programming that led me to watch Sister Wives. I was not prepared for how much the show would engross me and how much frustrated self-reflection it would provoke. First of all, this blog isn’t a thorough critique of Sister Wives as a television show, as I haven’t watched enough to adequately analyze it. Rather, I’m reflecting on how taking in a few episodes of this show, and what it depicts, made me question my reactions to polygamy. 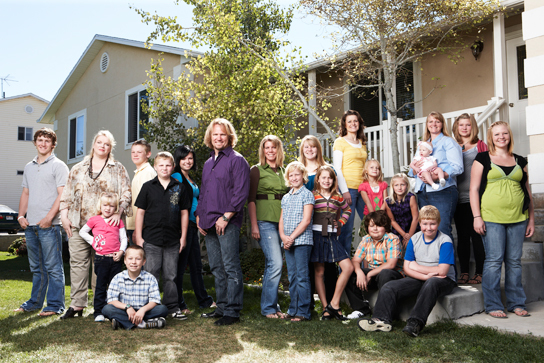 The Brown family belongs to a polygamous Mormon fundamentalist church called the Apostolic United Brethren and is shown residing in Utah at the beginning of the series but later moves to Nevada. The show is currently in its third season. A man, Kody, has four wives: Meri, Janelle, Christine, and Robyn. Legally, Kody is only married to Meri and has “spiritual unions” with the subsequent three wives. The women live in separate houses with their respective children (currently 17 in total) and Kody…makes his rounds. As such, he has four different households and continues to maintain pseudo-separate relationships with the respective wives (as well as procreate with them). The show focuses not only on the relationship between Kody and each wife, but the relationships of the wives with one another, and their participation in a bond they refer to as being “sister wives.” The show also depicts a lot of communal gatherings and activities in which Kody, the four women, and all the children come together as a family. Some definitions: the term for a marriage consisting of a man and more than one wife is technically polygyny but is often subsumed under the broader term for a person and multiple spouses, polygamy due to the higher frequency of this one man-multiple women arrangement. The term for a woman with more than one husband is polyandry. For polygyny and polyandry there are no marriage bonds between the multiple wives and multiple husbands, respectively, as opposed to group marriage. 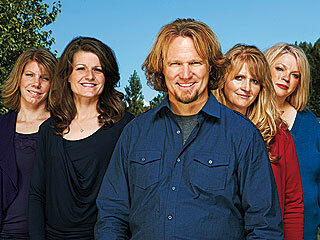 I’ll be using “polygamy” to characterize the familial/spousal arrangement portrayed on Sister Wives. My knee-jerk response watching some episodes of this program was one of protest. The feminist arguments against polygamy are many and well known. To name a few points: women are collected like possessions and added to a spousal relationship that is inherently and completely patriarchal; multiple women have marital access to one man while one man has access to multiple women; young women can be exploited and forced into (sexual/marital) relationships; religious, social, and familial pressures and teachings can raise the children of polygamist families to automatically accept polygamy as the required lifestyle without giving them the knowledge and agency to “choose” another way to life. My profound fascination with the few episodes I watched, and the resulting contemplation of how I felt about it, led to a lengthy conversation (about four hours) with my good friend and conversational/philosophical debate companion, Chris. Some of the semi-conclusions I’ve made about my responses to the show – and polygamy of this nature, generally – are the result of his excellent interlocution. The bottom line is I feel adverse to polygamy and I want to understand why. The hardest part for me to accept is that these women are happy, fulfilled, and satisfied in this arrangement. Of course, it is a “reality” television show and so there is inevitable scripting and plot direction – of the depictions of happiness and satisfaction as well as tension and drama – so it’s difficult to really know anything about the nature of this complex relationship. 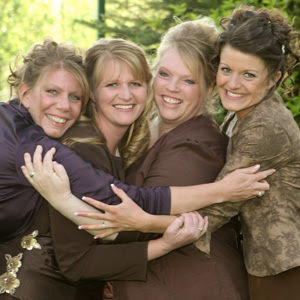 While each woman gets one quarter of a husband – emotionally, sexually, etc., by virtue of being a man in the Mormon fundamentalist faith, Kody has unlimited access to four women – to bear and raise his children and to feel compelled to love and befriend one another as sisters because that’s how it’s done. Kody is shown arranging to go on “dates” with each wife while the women candidly discuss the relative challenges of their wifely placement – Merri is the first wife, which has some advantages, but Robyn is the newest wife, and was the first new addition in 16 years, which sparks jealousy. Janelle can tell you why she enjoyed coming into the relationship as wife #2, and Christine feels frustrated as wife #3. Inevitably, this family revolves around Kody. He is the one person completely tied to everyone else, mothers and children. It’s difficult for me to accept that this arrangement is emotionally and sexually fulfilling for the four wives – but then again, what do I know? I’ve never been in a polygamous relationship. I’m a monogamist in practice, but my ideals and philosophies do not rely on monogamy (and especially not marriage) as the bedrock of a hetero- or homosexual relationship. I’m very interested in the idea that monogamy and pair-bonding are not necessarily natural (historically, anthropologically) practices for human beings. I’m an ardent supporter of being non-traditional and analyzing why we believe everything we do. I realized that reacting to polygamy as a deviant aberration of the typical sexual/familial union of two adults could be considered akin to reacting to gay marriage as an aberration. And as a feminist and a LGBTQI rights advocate, that makes me uncomfortable. Just as polygamy seems to me as the most bizarre, unthinkable practice, in terms of what I want in my sexual/familial life, I realize that I’ve been socialized and raised to accept monogamy as the norm, just as these women appear to think polygamy is the way to go. My politics is always one of personal agency and choice to live life however one wants. I don’t criticize the woman who wants to be a homemaker. But the issue here that makes me confused and uncomfortable is trying to understand “choice” – if you’ve been raised in a faith that dictates huge families of multiple women that revolve around a single patriarch, have you really “chosen” that lifestyle? That being said, I recognize that the power of socialization to regard a religious/lifestyle practice as perverse or bizarre works both ways. In such a complex and diverse world, who’s to say what’s natural or normal? Regardless of my frustration and skepticism about polygamy as a lifestyle, the show had a powerful effect on me, making me analyze the reasons why polygamy bothers and concerns me, and forcing me to recognize how even educated, very liberal thinkers can operate with hard-wired assumptions. So glad to see a post about Sister Wives (it's been a guilty pleasure show of mine for the past 1.5 years). I started watching because I was completely ignorant about polygamy and the Browns fascinated/repulsed me. I couldn't stop watching. After seeing nearly every episode, I am much more sympathetic. However, if you want to have a better understanding of the wives' perspective on plural marriage, I would read their joint autobiography, Becoming Sister Wives. I believed that although this lifestyle is unusual, impractical, and definitely something I'd never want for myself, they were happy. But I think maybe they aren't, after reading it, and they certainly must truly believe that their way is a spiritual path, or else they wouldn't put up with so much emotional, financial, and mental hardship. I definitely need to read this book! I saw that you read it on Goodreads (since I've discovered the show and been mulling it over) and think I'll check it out to get even more info and insight into their world.